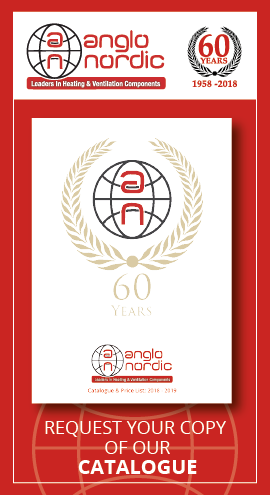 Anglo Nordic stock a range of Delta fuel pumps. We provide Delta pumps with a capacity range from 20 to 300 l/h, with and without built-on solenoid valve (shut-off valve). Designed for pumping oil in high pressure oil burners and transfer pump applications. 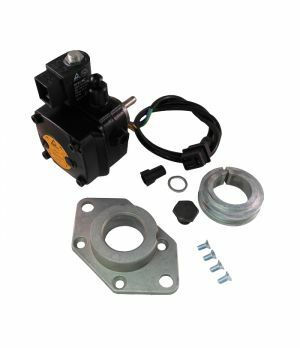 Features allow an easy pump replacement with every other type of oil pump. These Delta pumps must not be used to pump water or acid. The A/AD Delta pump is made of a intergrated cast iron housed pumping unit with bidirectional nozzle ports, cut-off solenoid valve (type A only), cartridge filter and pressure and vacuum gauges . 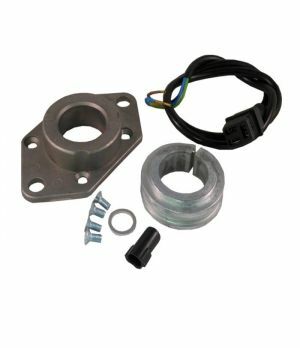 Designed so that the hub and shaft sizes are manufactured to fit to any oil burner, as well as pumping fuel from the tank to the burner at the required pressure. 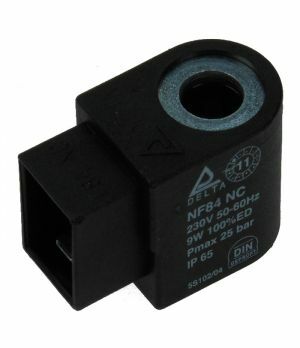 The type A consists of a pump, solenoid valve, filter and pressure regulator (type AD does not have a solenoid valve). Two spur gears (one connected to the drive shaft) operates the pumping action. 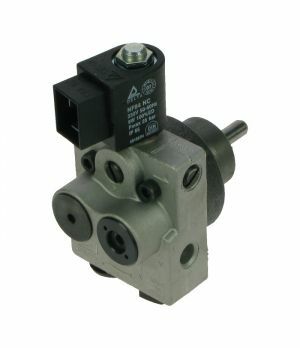 Aluminium pump casting provides the multiple oil ways, for the suction return and nozzle ports. Designed for pumping oil in high pressure oil burners and transfer pump applications. 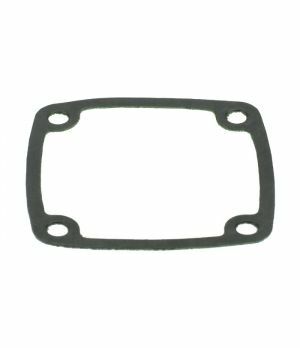 Features allow an easy pump replacement with every other type of oil pump. Selectable left or right hand nozzle port and one or two pipe system configuration. Reversible rotation without removing the cover. This Delta pump must not be used to pump water or acid. 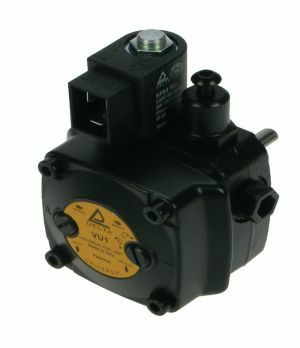 The VU fuel unit is housed within one casing including a pump, filter and pressure and solenoid valve. Two spur gears, one of which is connected to the drive shaft allows the unit to pump. The pump casting provides the multiple oil ways, for the suction return and nozzle ports. 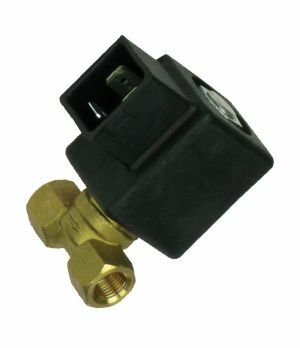 VU pumps allow a choice of nozzle outlet connection (either left or right side) making them an ideal pump for heating engineers van stock. This Delta pump can be converted from the two pipe version to the single pipe version, removing the by-pass plug from the return port. The VM Delta is a modern oil burner pump with a compact design. 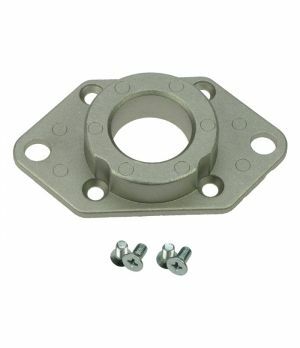 Due to the dimensions of its hub, shaft and mounting flange, it can be attached to the majority of domestic and commercial oil burners. All pumps are designed to international standards and require mains power. 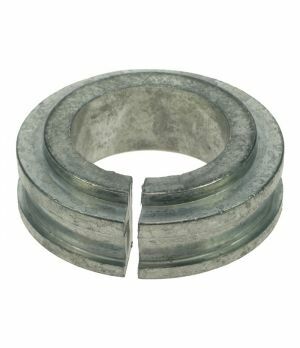 Ideal for oil pumping systems. If you would like any more information regarding our Delta pumps or need to speak with us directly regarding any technical specifications, you can contact us on +44 (0) 208 979 0988 or fill out our contact form and we’ll get back to you asap.